In our San Diego practice, cheek implants may be used concurrently with other facial rejuvenation or enhancement techniques such as facelift or rhinoplasty, or as a stand alone procedure to produce a desirable aesthetic change which is augmentation or enhancement of the cheek region. High cheek bones (malar bones) can be a desirable trait that not all of us are born with. Furthermore, as part of the aging process, we tend to lose the youthful fullness underneath the cheeks, which can impart a “hollowed” look to the face (this area beneath the cheeks is called the submalar space). For men, cheek implants placed over the malar bones can impart a more masculine, assertive appearance, whereas in women cheek implants can change a long, oval shaped face to a more attractive heart shape. Similarly, submalar implants are used in men and women to fill the concavity or hollowness below the cheeks (called the submalar space), imparting a more youthful and energetic appearance. *Before and after photos and testimonials on this website are from actual patients who have given permission to have their photos/testimonials published. These photos and testimonials are for illustrative purposes only and no prediction of outcome is implied. Individual results may vary. *Cheek implants are inserted through small incisions on the inside of the upper lip, which heal in approximately one week. A relatively minor procedure, cheek implants may be placed using only local anesthesia or with deeper sedation for patient comfort. The procedure is performed in the comfort of our private San Diego surgical suite. Most implants are constructed from solid silicone, which adheres to the underlying bone and is very difficult to feel. While rare, complications may include infection or displacement of the implant requiring removal or repositioning. Over the years the art and science of facial contouring with cheek implants has evolved significantly, and there are many different styles and shapes to choose from. A successful outcome requires choosing the right size and shape of implant, and then placing that implant in the right location. Please contact our San Diego office to schedule a consultation to see if cheek implants are an option for you! For Facial Implants in San Diego or La Jolla California contact Dr. Roy David today at 858.658.0595. 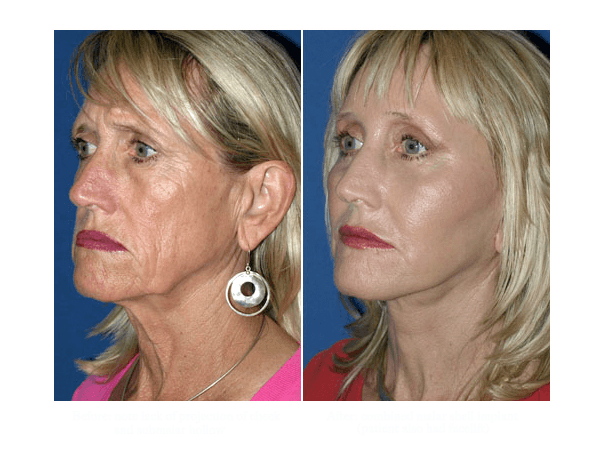 San Diego Patient had cheek and chin implants. The effect of cheek implants in a male is a slightly more masculine, assertive appearance. Note the slightly wider cheek bones on the front view. Appearance remains very natural. A small or weak chin, like a disproportionate nose, can affect the overall harmony of a face. Whether done at the time of nasal surgery or facelift surgery, or as a separate procedure, a chin implant can produce a dramatic improvement in facial profile and balance. Chin augmentation with implants is among the most common and popular facial implant procedures performed in our San Diego office. The implant is inserted generally through a small incision beneath the chin. San Diego facial plastic surgeon Dr. Roy David commonly uses silastic anatomic shaped chin implants, which produce a very natural look and feel. Occasionally, mersilene mesh style chin implants, which allow ingrowth of our own tissue, are custom made for specific patients. The implant is placed over the bone of the lower mandible, along the border of the chin in a precise pocket. It is then secured in a central position with temporary suture. The procedure can usually be done with local or intravenous anesthesia, and patients are able to return home immediately following chin implant surgery in our San Diego office. *The chin may be taped for several days to decrease swelling. Pain is generally minimal, and most patients return to work within several days to one week. Side effects include mild swelling and numbness around the chin which is temporary. The rate of long term complications with a chin implant, such as infection or malposition, is extremely low and patients report very high long- term satisfaction with this relatively minor procedure. 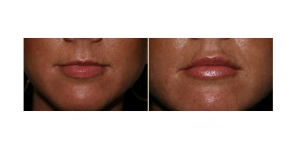 *While injectable fillers can give great temporary results for lip augmentation, many patients prefer a permanent solutions. Ultrasoft silicone permalip implants are the lip implant of choice in our practice, and patients have been thrilled with their results.  Lip implant surgery is an office procedure performed under local anesthesia with sedation. Dr. David performs these procedures in approximately twenty minutes, with minimal to no bruising. Two absorbable sutures will placed on each corner of the mouth, and these will dissolve within one week. Patients report that their implants feel extremely natural, and this is a very high satisfaction procedure. Risks of lip implants include infection or scarring, like any surgery, but the incidence is very low. Rarely, patients may choose to change to a larger or smaller implant size and this can be done easily. Unless otherwise stated, models are used throughout this website. Individual Results may vary depending on many factors not all patients “feel” or achieve the same results. What Can Eyelid Surgery in San Diego Do for You?